AUD is under pressure due to its American counterpart growth. The support rests in 0.71580 with resistance at 0.72330 which the weekly pivot point at 0.72150 is located in between the lines. The EMA of 10 is moving with bullish bias and it is located below the EMA of 100 and the EMA of 200. The RSI is rising towards the 50 level, the MACD indicator is in the negative territory and the Stochastic is showing upward momentum. The ADX is not showing any clear signals. 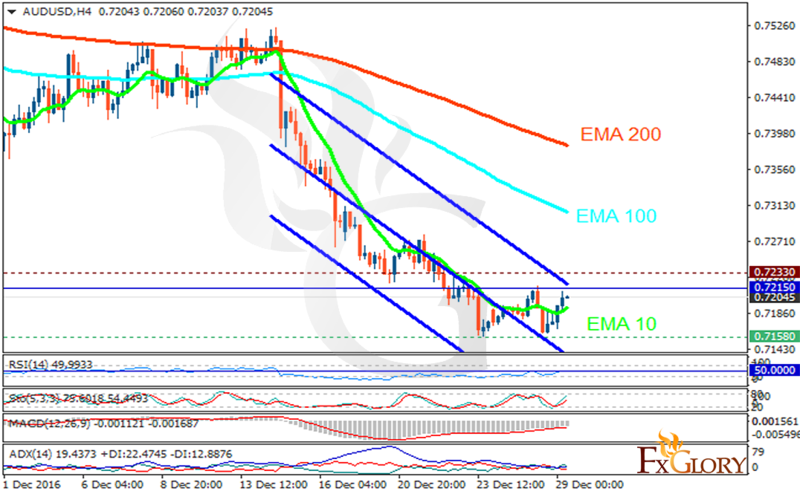 The chart seems bearish therefore sellers can target 0.71 area.